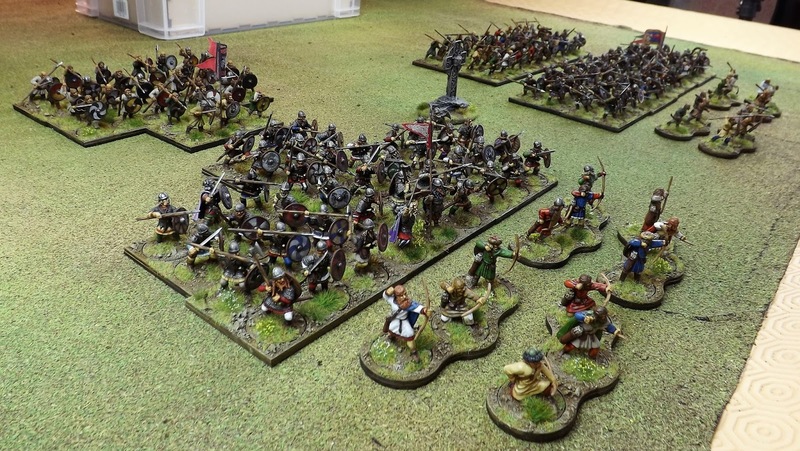 A collection of Saxons and Vikings in 28mm started back last September are now done and I have put up some pictures of the collection. I intend to add some other items and additional figures overtime, but the core of the collection is now finished. If you would like to know more then just follow the link. Very nice collection there, very well painted and based. The cross is a nice touch. I remember the feeling when I finished mine! I hope you get hours of fun from this fine collection! No army is ever completed! Great army..but they're never completed. Nice to cross off that objective even if you go back and add more. Thanks for your comments chaps. Perhaps, considering my planned additions, it would have been a better to have titled the post 'this part of the collection is completed'. A beautiful and impressive collection! An amazing collection, they look so nice on the tabletop all together. Very inspiring! Completed? What does that mean? Seriously, congrats on a very nice looking army. I hope that they may bring you many victories. Nice work!! I love it when I think a collection is complete. And then I go and give in and buy some more ! !